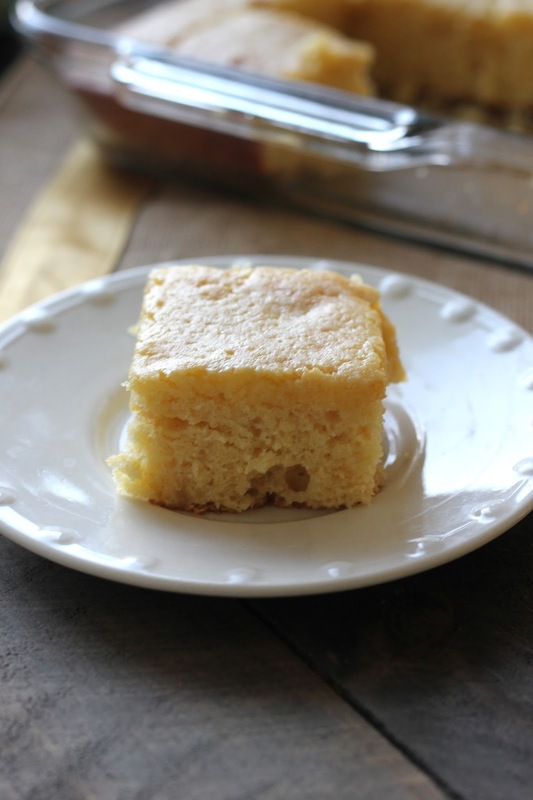 This cornbread is sweet, moist and oh so delicious! This sweet cornbread is a game changer. Now, it’s no secret I have a sweet tooth. My blog is called baked in Arizona after all. 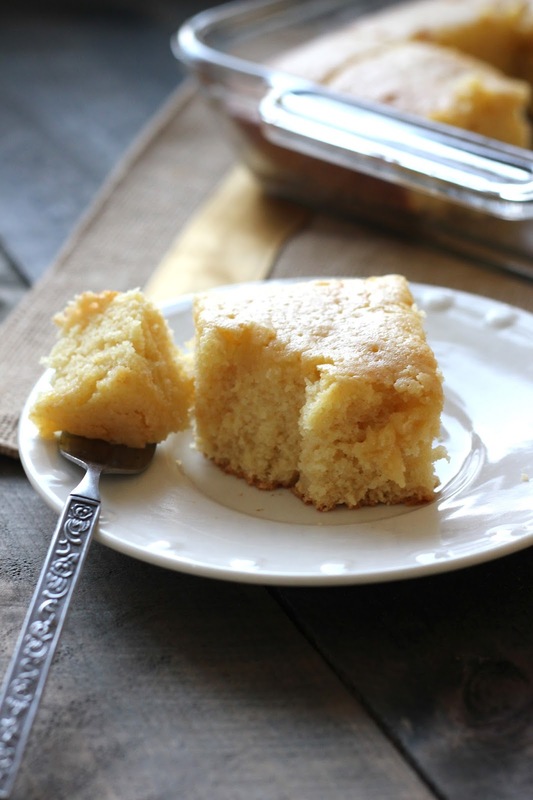 So, I love that this cornbread is buttery & sweet. You separate the eggs and whip the whites till they are stiff. Then at the end, you fold them in making for a lighter cornbread. We usually serve this with potato soup. Our Nana always makes potato soup & cornbread for her annual Halloween party. We look forward to it every year. 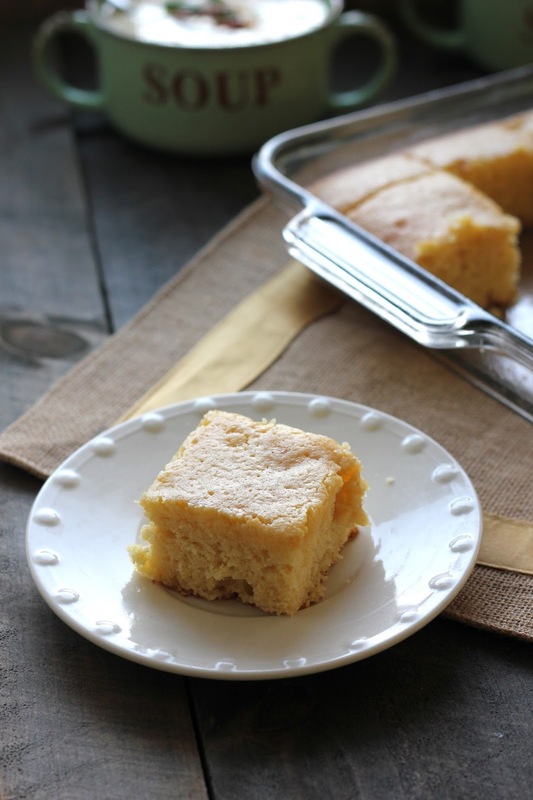 This cornbread is seriously amazing. You can eat the left overs (if there is any) for breakfast too. Just heat it up and add a little more butter & honey. You have to try this recipe. It is sure to win you over. Separate the eggs, putting the whites in a small bowl and the yolks in a medium bowl. Combine cornmeal, flour, sugar, baking powder & salt in a large bowl. Set aside. Add milk, vanilla and melted butter to the medium bowl with the yolks. Stir. Pour the liquid mixture in to the dry mixture. Fold stiff egg whites into batter. Pour into the greased pan. Optional (but very good): While hot, melt ¼ cup (1/2 stick) butter over the top. Recipe Source: Nana C.J.’s cookbook.